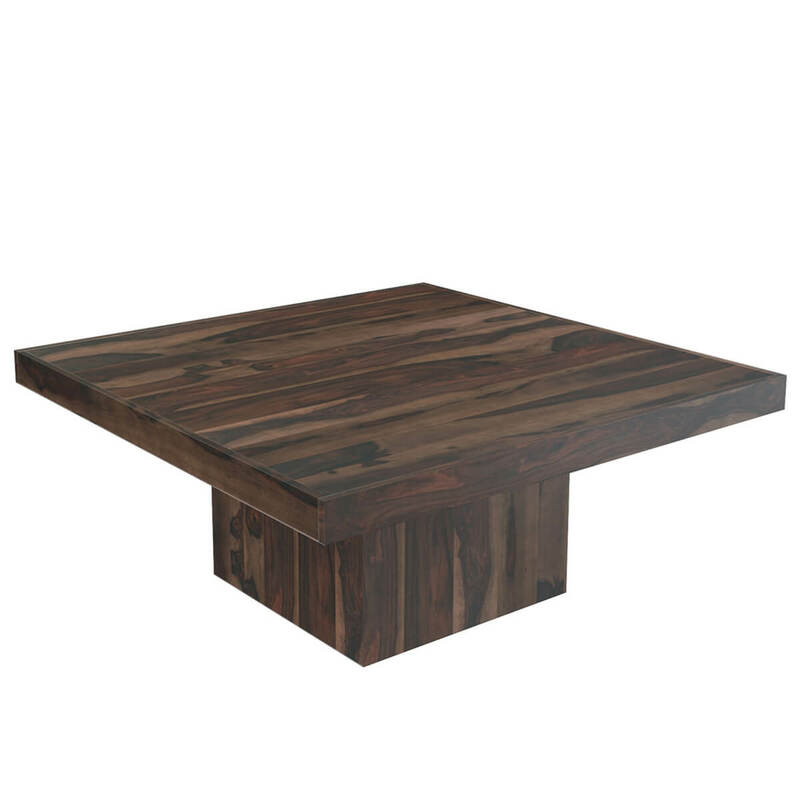 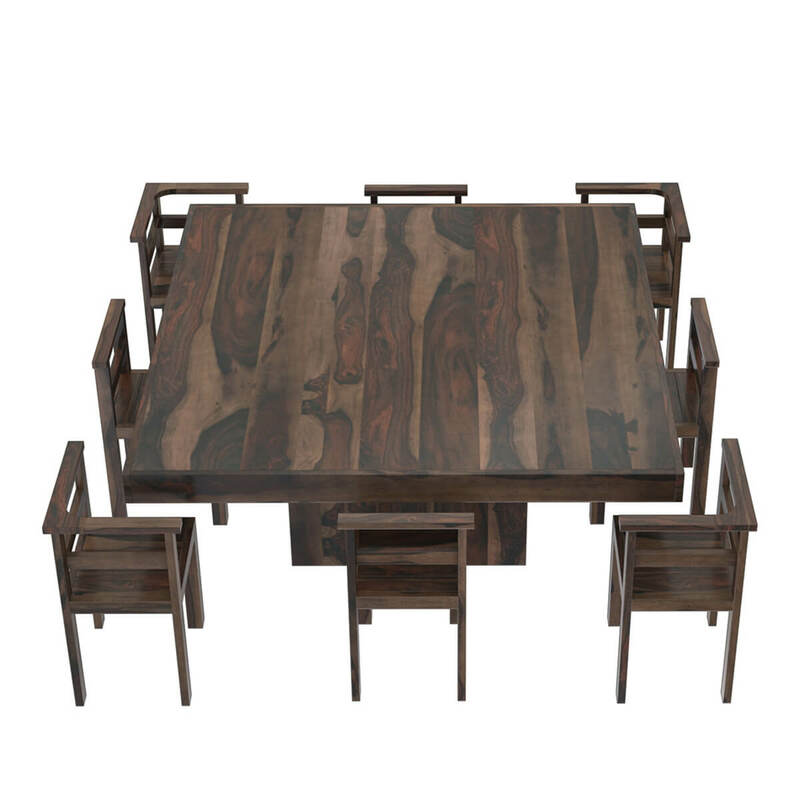 Gather around our contemporary dining table and celebrate. 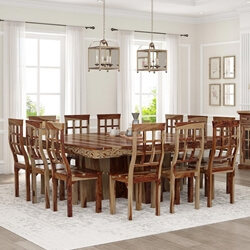 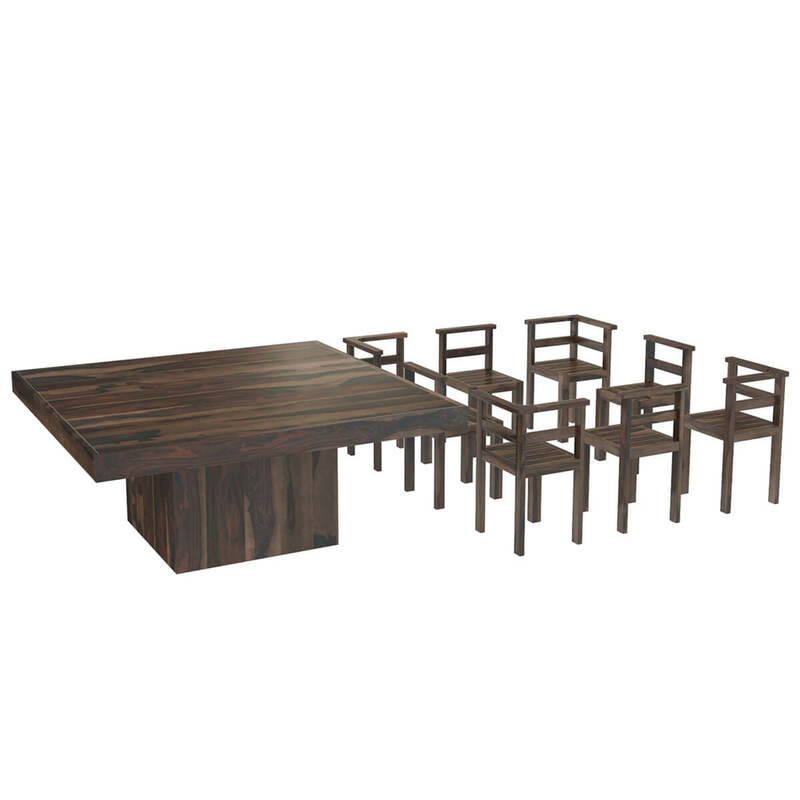 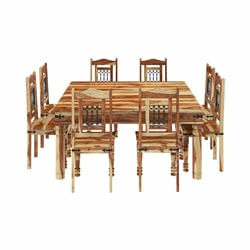 Our Modern Rustic Solid Wood Square Pedestal Dining Table and Chair Set has an exciting new design with a relaxed style. 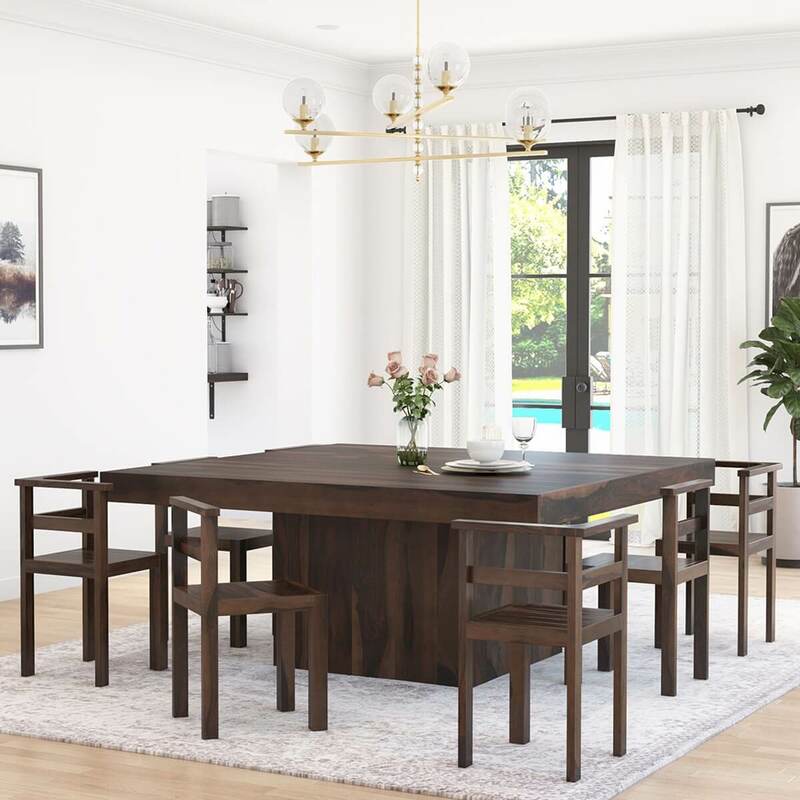 The square dining table top is placed on a square pedestal freeing all the corners so the square chairs can all tuck neatly around when not in use. 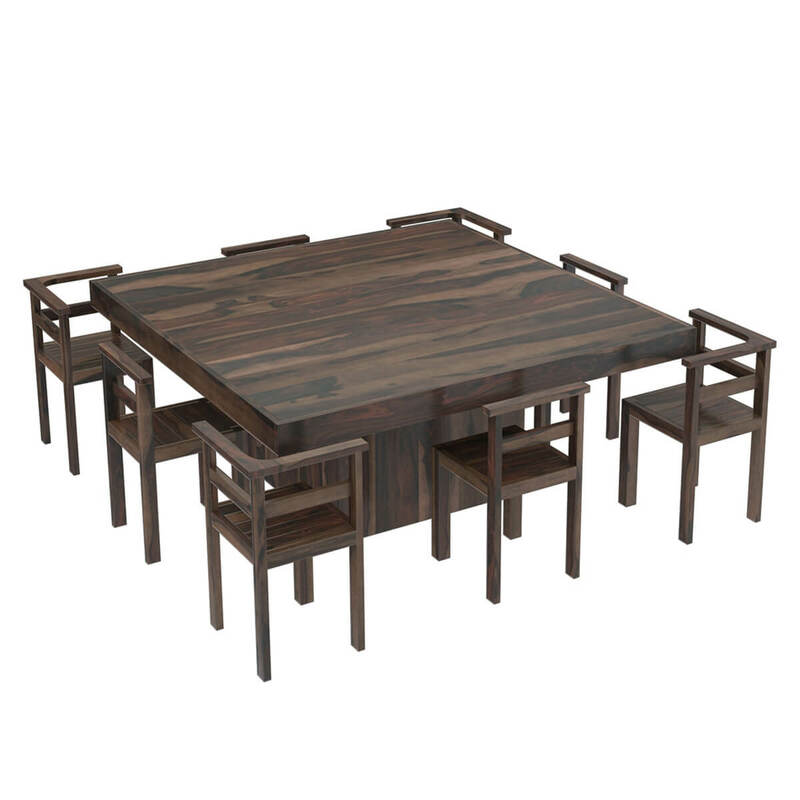 Four chairs have two sided backs and all of the chairs have square stretchers for extra stability. 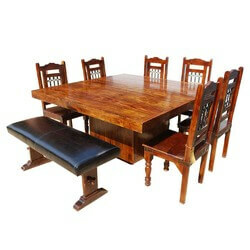 The wide seats and back provide comfort for adults to relax and enjoy. 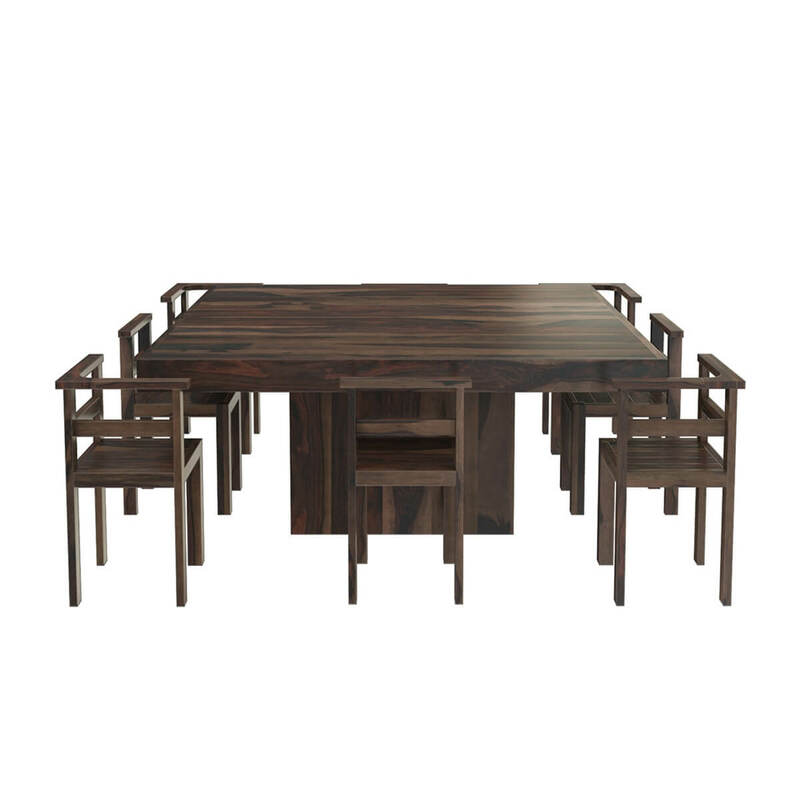 The entire ensemble is handmade and built with Solid Wood, a premium hardwood ideal for high use furniture because it is both strong and durable. 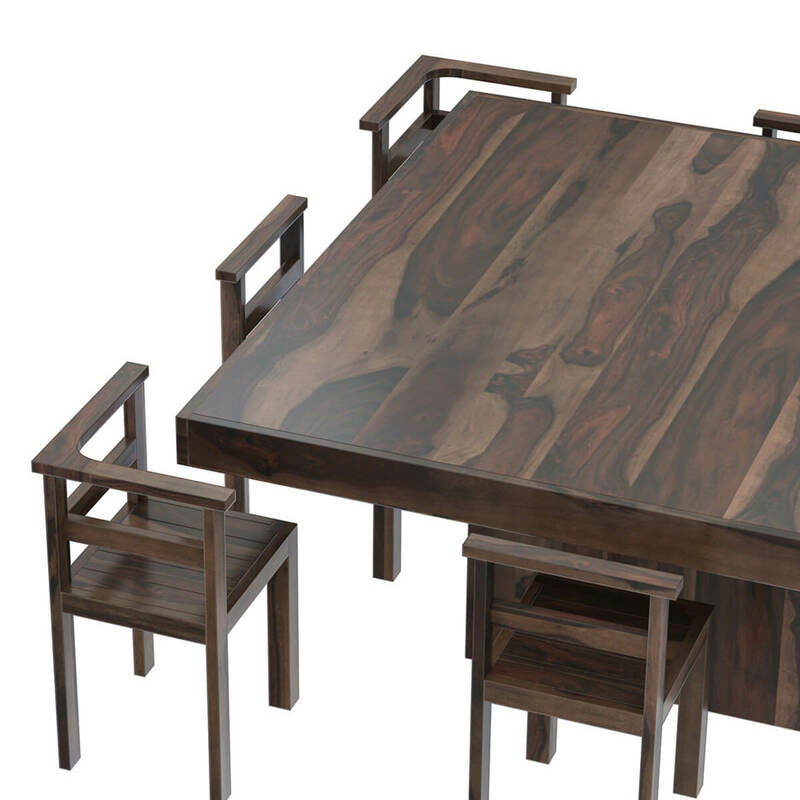 Solid Wood is easily identified by its dark and light wood grain.